Stress, hormone levels, and comfort-eating are indeed linked to one another. Theoretically, eating relieves stress by stimulating the release of body chemicals that help to raise mood and bring about a feeling of satisfaction and well-being. Thus under high stress we may feel a higher urge to eat. Under pressure, control over habits reduces. People default to what their habits are. Stress causes people to seek the foods they eat out of habit – regardless of how healthy or unhealthy that food is. Like for example, during exams one would prefer to snack on cookies, flavored popcorn, or candies, rather than fruit, nuts, or low-fat yogurt. With continuous long term stress, food habits may be affected which in turn begin to affect weight. Overindulgence in comfort foods inhibits activity in the stress-processing centers of the brain. This registers falsely and makes you think that turning to comfort-foods is making you feel better, when it is actually, only making you gain weight. 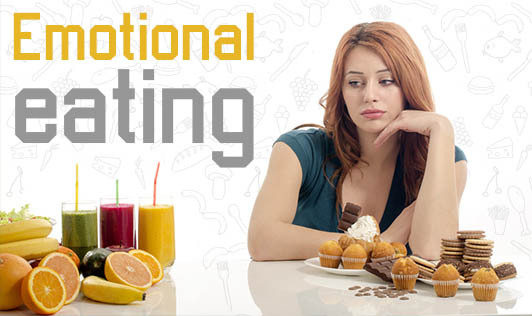 This is not just specific to comfort foods; any unhealthy food or beverage tends to become more appealing when you are under severe stress, solely for the reason that they tend to temporarily lift your mood. Hence, next time you are stressed-out and craving something badly, stop and breathe deeply. If you feel hungry even after 10 minutes, it means that your body really needs food. The rest are just false alarms. Feed your body with nutritious food and turn to healthy methods of relaxation to beat stress.